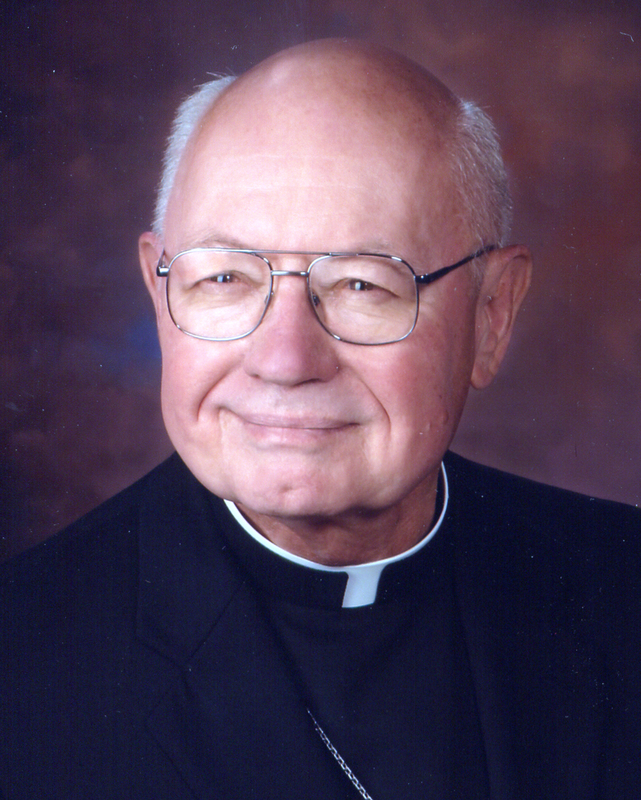 The following is an interview with Bishop Emeritus William Skylstad on February 18, 2016. Bishop Skylstad served as chair of the Steering Committee for The Columbia River Pastoral Letter. On March 4, 2016, Bishop Skylstad and members of the Pastoral Letter Steering Committee will be honored with the 2016 Watershed Hero Award, given by the Sierra Club’s Upper Columbia River Group. to effect a spiritual, social, and ecological transformation of the watershed. John Osborn (JO) Let’s begin by having you tell us how your upbringing on the Methow River informed your understanding of rivers and water generally. Bishop Skylstad I’ve always considered my growing up along the Methow River as a huge blessing in my life. My folks originally lived in Omak where Dad worked in the sawmill. In the late 1930s they moved over to the Methow. The 25 acres of tillable land and 165 acres on the hillside bordered the Methow River. So about half to three-quarters of a mile bordered the river. After our first farmhouse burned to the ground in the late 1930s, my folks built a house almost next to the river – probably 150 or 200 feet from the river. I grew up with the river roaring in my ears. The Methow River drops pretty dramatically over its whole length, roughly 30 to 40 feet a mile. There are quite a few rapids, not serious rapids because the water flow is not huge. But nonetheless it’s a wonderful experience to grow up on the river. The irrigation – of course in that part of the world you have to irrigate. Our water came from the one of the creeks, Gold Creek. The wildlife in the river . . . first of all were the fish with the migration of the salmon. And other types of fish too, including trout. There were even some bullheads in the river before the flood of 1948, also eels and crawfish. I remember the ducks and the mink. So it was a rich environment to grow up in just along the river itself. The river is where we swam. In the summer we rafted the river even before river-rafting became sort of a professional sport. We did a lot of that. We had an old beat up World War II rubber graft we used to drift in the river. It was great fun for us kids. I just was very close to the river. When you are that close to it, the river just becomes part of who you are. I’m grateful to have had that experience. The river – as beautiful and pristine as it was – could also be a powerful force. We experienced, for example, the ravages of the flood in 1948. The Vanport Flood down in Portland has been much talked about, but we experienced the flood in our own valley. We were isolated for 3-4 weeks and we went without electricity for almost a month. That was part of the experience too, seeing what happens when you have a combination of natural circumstances: a lot of snow, very warm rain, very warm temperatures all came together and created a huge flood in the river. Even the bridge in front of our home – a cement bridge, very sturdy bridge – one end of that bridge was washed out. So it shows you the power of water when it gets into a rampaging mode. All of that comes together for me as a wonderful history. I have a deep attachment to the outdoors – to the river, and to water. JO Let’s move on to spirituality and water. Spirituality and concerns for moral decision-making are integral to who you are and integral to your life’s journey and work. Can you speak to that? Bishop Skylstad First of all given my vocation in life — a life in which I have been engaged as a Catholic Priest for almost 58 years — obviously for me spirituality is really important. It is a sense connectedness with God in and through one another and certainly connectedness with the environment in which we live. I’ve always felt very strongly that the environment around us, especially the area where I grew up, really a beautiful valley, is a tremendous expression of God’s creation and creative power that naturally unfolded in our world in which we live. But nonetheless from my standpoint, right from the very beginning, and I can’t explain why or how I had that, but I had a deep sensitivity wanting to serve people. I also had a very strong, deep faith in seeing God’s presence in creation. That has been embellished in recent years as I got into astronomy, the universe, and the interconnectedness of the river and oceans and so on. That sense of connectedness for me is really important. As a young kid, I threw a bottle in the river with a note in it: “if you receive this, please return it to Billy Skylstad in Methow, Washington.” I’m sure Mom and Dad humored me as I asked for a bottle and got a cork, and threw it in the river. But on the other hand, though, I thought in my own childish mind that I might get a note back from Japan or China or some other faraway exotic place. Of course it never happened. And some people say, ‘not yet’. But behind that was a sense of connectivity. To my way of thinking, there is a spirituality about interconnectedness that is really important. Accompanying that, of course, is a whole sense of morality and ethics in the decisions we make. We are a responsible people. I feel in my own work that I am very responsible to my Creator. The Creator has made us all responsible with, and for, one another. We are also very responsible for the environment in which we live — this church of the environment. That of course is made more clear and very pronounced with some of the recent teachings from the Popes: Pope John Paul II, Pope Benedict, and now Pope Francis who has continued to build on that tradition. It’s a complex world in which we live. In recent decades we have come to better appreciate how deeply connected we are with, and for, one another in the world community. What happens here in the state of Washington or here in the Columbia River Basin does impact, in a certain sense, the rest of the world community in terms of the cleanliness of the river, salmon, and all sorts of things. As we look at that complexity, there needs to be a sense of moral order that makes sure that things continue to do well. In our connections with one another we need to live a sense of justice — or ethics, if you like. The best definition, it seems to me, and one that I’ve used a lot is “the right ordering of relationships in the world within which we live.” Moral order looks not only at human relationships, but also our relationship with God. It is also about the development of our relationship with the Earth in which we live too – to have that right order and responsibility. Saint Francis already was very cognizant of that in many ways. But now, coming to the reality of the world where we see damage because of past decisions, ethics become really important. We must exhibit a sense of stewardship and right decision-making –just decision-making — for the common good. In my way of thinking, spirituality undergirds that, but also a sense of ethics is so important to make sure that we make responsible decisions, appropriate decisions, in good stewardship with, and for one another. There are continued development and growth for all of us as we become much more connected in the global village, more so than ever before in human history. We have never had an experience today like we’ve had before. The right ordering of relationships now calls us to be in relationship with people on the other side of the globe as well. No one should be moved out of the human family, so to speak. We are in relationship with everyone, relationship with the environment and the area and people in which we live. Those relationships should be as just and charitable as best we can make them. JO I want to take you back to your childhood because you were coming of age just after Grand Coulee Dam was built. You may have seen first-hand the consequences of then the world’s largest dam – consequences that were devastating for the salmon, tribes and First Nations. Bishop Skylstad The first time I saw Grand Coulee some neighbors took my sister and me on a Sunday afternoon over to see the dam. I can remember seeing it as a huge structure. We had a picnic at the little park just below the dam. Of course we all knew about it. I was a fairly young kid, probably 8, 9 years old . . . 10 years old, maybe. I didn’t have much of recognition or knowledge about the impact of the dam except that it produced a lot of electricity. In those days I had no knowledge of the fact that, for example, there were no fish ladders built to move the salmon upriver around the dam. We lived below the dam, actually below Chief Joseph Dam as well. The Methow River flows into the Columbia below Chief Joseph Dam so we still had salmon coming up the river. There wasn’t an impact upon the salmon returning to our area, appreciably. We still recognize and appreciated that. But by the same token, as life went on, and especially as I grew into adulthood and during my early years of Priesthood, I came to realize the impact that Grand Coulee and Chief Joe had on the flow of salmon upriver. In the last couple of decades, that has become much more of an awareness especially given the Native peoples and their plight resulting from the dams and the cutting off of salmon from the upper reaches of the Columbia River. I do remember as a child, and later as a teenager and young fellow in high school, the building the dams along the river. For Chief Joseph Dam, our local parish in Brewster had a lot of people who worked in the dam and built the dam. The same thing with Wells Dam, 8 – 10 miles below the mouth of the Methow. I remember the building of Rocky Reach Dam below Wenatchee. The big part of that dam was not only did it produce electricity but you had this window to view the salmon. Almost always when we went to Wenatchee, especially coming home, we had to stop by and look at the window to see these big salmon swimming upstream. So that’s my experience with the river and the dams. In terms of negative impacts, I don’t remember a lot about that as young child. Only later in life did I become much more aware of a broad range of impacts — both positive and negative. That was a good learning experience for me personally. But certainly as a young child, I wasn’t aware of the really strong, negative impacts at all: it produced electricity, why wasn’t it good? And of course along with that there were articles in our newspaper about the Columbia River Irrigation Project. Our newspaper at home ran so many stories because Rufus Woods, publisher of the Wenatchee Daily World, was the one of the great promoters of the Columbia Basin Irrigation Project. The irrigation project has grown and developed into what it is today, and the agriculture in central Washington is pretty vast right now. That’s my experience as a young child. I should say, though, that there are a lot of negative impacts. There was very little awareness of how the building of those dams impacted the Native peoples and their culture. And as a child I certainly didn’t have an awareness of that. Not until later did I begin to understand the impacts blocking salmon from returning to the upper reaches of the Columbia River. JO Next let’s turn to The Columbia River Pastoral Letter. Before we focus on the transformational intent of this document, it’s important that people understand how the Pastoral Letter came to be. Bishop Skylstad As I look back over the history of the Pastoral Letter in many ways I am amazed at how that unfolded. Actually the genesis of the Pastoral Letter was at Mount Angel in Oregon at the Benedictine monastery where there was a meeting sponsored by the United States Catholic Bishops with some funding from the National Religious Partnership for the Environment. People from the Northwest had gathered to discuss the environment. There was some talk at the meeting about possibly doing something about the Columbia River – even developing a Pastoral Letter on the Columbia River. The Columbia River is such a rich environment and complex environment. To me it’s idyllic in terms of complexity and wonder and richness and treasure and relationships that makes it just a marvelous study of a river and our responsibility for it. I was a bit hesitant (having enough to do it at the time) but also excited about the project. Growing up on the Methow River and growing up just a few miles from the Columbia River – I saw the Columbia River all the time — just provided a rich opportunity to provide some kind of a spiritual reflection: how we look at the river, envision what the river can be, and ultimately accept the river as our responsibility and to take action. The Steering Committee was formed and the members’ names are in the appendix of the Pastoral Letter. The Steering Committee was meant to be as broad-based as possible including different people from different backgrounds — religious and otherwise — Native peoples, people in industry, business people, religious people. The Committee was meant to have a very broad background to give form to a project that at its beginning was pretty nebulous. Early on the Steering Committee set out to listen to what’s going on along the river and to listen to various people along the river. We were involved with listening sessions with a focus on reading the signs of the times.. We also looked at the river from several places. We started at the University of Portland near the site of the Vanport Flood and heard from people in the lower Columbia who made their living through fishing. We heard about Hanford Nuclear Reservation, one of the most polluted spots still today along the river. We visited Hanford. I remember flying over the Hanford Reach of the Columbia River. The day was very windy and we were in a small, light plane – it was an exciting day, really, and at least we saw that part of the river and Hanford. We met with Native peoples in Toppenish – the Yakamas. Yvonne Smith, a citizen of the Yakama Nation, was a member of our Steering Committee and was part of that listening session. The Pastoral Letter Steering Committee met in Umatilla, Oregon, where at that time was the largest repository for sarin gas in the country. Sarin stockpiles have since been neutralized and that project recently finished. But we were there to listen and learn about sarin and other issues. We went upriver to Castlegar, British Columbia, and met with folks in the Upper Columbia. As you know, the Columbia is an international river, and about 40 percent of the water flows from the river’s watershed located in Canada. For me the big learning experience of that session was to listen to the anger of people, especially farmers. Their lands and homes and businesses were inundated by reservoirs behind dams built as a result of the Columbia River Treaty. A lot of rich farmland and wildlife habitat in British Columbia was permanently flooded ostensibly for flood control, especially for Portland and other communities in the lower river. We also held sessions in Helena and Pablo (at Salish-Kootenai College) in Montana; Spokane and Clarkston in Washington State; and Hermiston and Astoria in Oregon. In addition to these more formal sessions, many parishes and community organizations sponsored sessions on their own between June and December of 1999. By the way, there were a several more gatherings of reading the signs of the times and Listening Sessions than are listed in the Pastoral Letter. We should have included in the letter more of the many ecumenical listening sessions that were held. There was a real attempt to involve the broad community, including the Catholic community and the larger religious community. Reading the signs of the times was really important as part of the process leading up to writing the Pastoral Letter: learning about the Hanford Nuclear Reservation, listening about what happened in Canada to the farmers and others forced from their lands, hearing Native peoples describe the loss of salmon and other impacts from the dams and resulting impacts to their culture. I think, too, that reading the signs of the times was really important to help defuse some of the nervousness and perhaps almost hardened feelings about even talking about the river and responsibility for the river. One time flying home from Minneapolis back to Spokane, a fellow in the food industry sat alongside of me. He said, “Say, have you heard anything about this Pastoral Letter that the Bishops are writing about the Columbia River?” I said, “Yes, you are talking to the right guy.” It was clear he was nervous about the project. At that time too there was a lot of discussion about the breaching of the four dams on the lower Snake River. That becomes a very hot button issue for farmers especially. Transporting wheat and other grains by barge was less expensive than train transport. But in any case, some of these issues are filled with conflict. Meeting in these various areas — looking at the signs of the times and even in the listening sessions — at times there were strong remarks but I think the nervousness decreased a bit. People who attended came to realize that we were not going to come down hard on this particular matter or that matter. We were there to listen and learn before we came up with any final resolution of what the Pastoral Letter should be. I think the sessions also opened up the eyes of some people who were fearful about breaching the dams and people concerned that there wouldn’t be any tool or instrument of helping people come together and talk and discuss. To my way of thinking it’s just a wonderful example of how important dialogue is when we get into really difficult, conflicted situations — especially when competing values are involved. The Columbia River Pastoral Letter really pushes us to dialogue and, even though there are conflicting values, to reach decisions that are good stewardship and are just. Fourthly, how do we carry out that vision in a way that fulfills our moral responsibility and is practical. I really like that format and today I think it’s still very viable. In some ways this approach (and perhaps this is a bit arrogant) is followed by Laudato Si: On Care for Our Common Home — although the Papal Encyclical is certainly much more refined and a longer document than the relatively short Columbia River Pastoral Letter. We did several drafts of the letter, going over it with the Steering Committee and then the observations of reading the signs of the times. We circulated drafts and assessed people’s reactions. We worked to refine the draft and eventually it was moved on to the Bishops. At that time I think there were eight Catholic dioceses in the Columbia River watershed. One diocese was in Canada. This is an unusual Pastoral Letter because you have two countries involved, Canada and the United States. As the Bishops went over the Pastoral Letter and discussed it, we shared drafts back and forth on some of the issues. One of the tensions we found is that some folks on the Steering Committee (and even as we went into the Readings of the Signs of the Times) wanted us to be very specific about certain issues and make decisions about certain issues — the breaching of the four lower Snake River dams, for example. The Bishops felt pretty strongly that it was important to set forth principles rather than coming up with specific decisions. Our intention was for dialogue to take place within the region by responsible stakeholders and parties — to come up with decisions that would be appropriate and would be responsible for taking care of the river. I think long-term that was a very wise decision because it gives legs to the document even today 15 years later. When we working on the Pastoral Letter in the late 1990s and early 2000s, the salmon runs had really gone downhill. Some runs have come back somewhat, though certainly nothing compared historically to what they were 100 years ago. So I think it was a good decision to lay down principles that provide a foundation for ethics in making important decisions about the river. Especially now, as we look at the renegotiation of Columbia River Treaty, to make sure that people are involved in the process and dialogue in order to come up with good decisions as we look to the future. 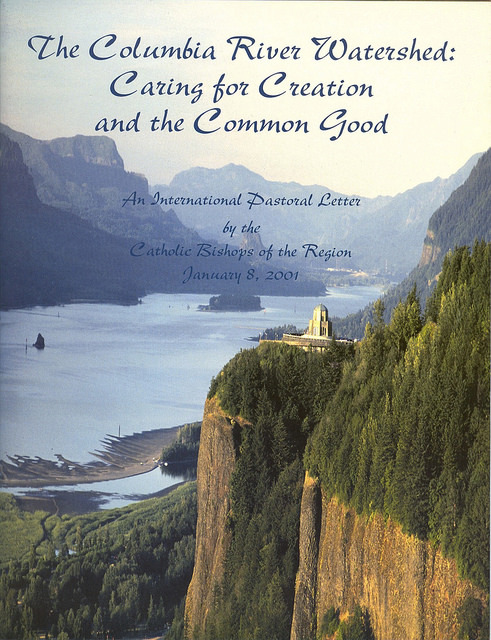 The Columbia River Pastoral Letter is a remarkable document. I’m very proud of the document. By the way, we made the decision that it would be translated into Spanish and French and that also there would be an implementation piece that would accompany the document. We also made the decision that it would be printed on recycled paper and that it would have some appeal with pictures, not just text. All that came together in the document we have today. I would say finally that in writing the document it is clear that, as it often indicates, the Pastoral Letter is not the final word. That’s very true today as we look at the renegotiation of the treaty. The decisions about the Columbia River continue to unfold, and the challenge is making decisions in a way that is responsible for the Common Good, that is just and treats everyone fairly as we move along this journey. JO Building on that, The Columbia River Pastoral Letter notes that this is a project in process and, further, quoting the Pastoral Letter, “We invite people to explore with us the implications of the Christian idea of human stewardship of creation and to effect a spiritual, social, and ecological transformation of the watershed.” Could you speak to the transformational intent? Bishop Skylstad One of the things I think that for me is personally edifying is the continued implementation of The Columbia River Pastoral Letter and exposure of the Pastoral Letter to the broader society. For example I ran across a couple actually from Cottonwood, Idaho, who were volunteers in Central America. They were using the Spanish edition of the Columbia River Pastoral as background for reflection on environmental stewardship in working with people in Nicaragua. Over and above the Pastoral Letter’s use here, it is being used elsewhere as a reflective document. I also noticed just going to websites that the document is being used in universities. ‘For example, the University of San Diego has the Pastoral Letter as part of its website. Thirty to forty years ago, there was a societal attitude that environmental work tended to place you in the far left, with labels like “tree huggers.” (I’m not sure what label would be used for people who care about rivers.) There was an attitude that “it’s all okay and you are kind of out there when you start talking about this stuff.” Just recently that’s still very much in evidence with Laudato Si coming out – there was a certain amount of pushback: “what’s Pope Francis going to say about the environment.” That pushback even includes members within our own church who were very nervous about it: “well, that whole climate-change business, that’s not proven yet” and so on. However, having said that, I think we’ve come a long way towards a deeper sensitivity within society about the environment since the Pastoral Letter was first issued fifteen years ago. As we see that growth and development, we can also see the teachings of Saint Pope John Paul II, Pope Benedict, and especially now Pope Francis. Pope Francis is constantly mentioning the environment — and responsibility to the environment — because we are deeply connected worldwide. Societal appreciation is growing of our responsibility for the environment in which we live. Our own society has developed rules and regulations to better protect the environment. For all of us it’s a deepening sensitivity. Personally for me, as a young kid on a farm, we changed oil in our tractors and cars and trucks. What did we do with the oil? We had a little place behind our garage where you dumped the oil on the ground. That’s the way we did it. Today that would be unthinkable. So sensitivity is increasing about what we are doing to ourselves (not to mention that there is a water table not far below the ground that eventually the oil might leach down into). So we’ve become just much more sensitive about how we impact the environment . . . and how we take care of the environment in which we live. The river is really a bellwether for how we treat the whole watershed. Everything flows into the river, ultimately. For good or for bad, the river is a telltale sign of how well we treat the environment in which we live. That is certainly very true in our part of the world with the mining pollution from the Silver Valley, for example. Or, look just north of the international border with the lead and zinc smelter and pollution in the Columbia River at Lake Roosevelt. Hanford Nuclear Reservation is another example. Appreciation is growing of the need to be responsible as we look to the environment. I’m really glad to see that societal awareness has developed and grown. Finally I should say that even now I’m still asked to give presentations on the Columbia River Pastoral Letter – and this is 15 years later. Years ago that would be unheard of. But today, there is growing appreciation. The Catholic Social Action ministers from all over the nation gathered in Portland this past summer and asked me to do a presentation on the Columbia River Pastoral. Just recently, I was in Walla Walla at one of the Parishes for a workshop on the Pastoral Letter. It continues to have life. For that I am really grateful. Perhaps as we look to the not-to-distant future with the renegotiation of the Columbia River Treaty, the Pastoral Letter is helping support the basin-wide dialogue. We need that respectful dialogue within and between people in both countries if we are going to make treaty decisions for the common good. The Treaty is helping the Columbia River Pastoral Letter to come alive. At least here we’ve done a lot to try and enlighten our Parishes with the Pastoral Letter, and it’s something we still need to work on. JO In that spirit, what guidance would you give to help guide the Pastoral Letter’s transformative process into the future, given the damage to the river over the past two centuries and now given climate change. Bishop Skylstad It’s clear that climate change has become a very significant issue in our world today. Even a few years ago the ready dismissal of climate change has now kind of died down. There are still a few people who think that it’s a “chase after the wind,” but it’s very clear things are happening and it’s not all positive. Documentaries on television are helping us to understand what’s happening in the Antarctic and the Arctic. I just watched a documentary last week on a fellow who lived in the Antarctic for a year, talking about some of the significant changes there. In the Arctic, the story is similar with the melting of the ice pack and impacts on wildlife and Native people. We need to continue to focus on climate change at home and around the world. Pope Francis and Laudato Si have helped a lot. I still continue to give quite a few talks and workshops on Laudato Si. The work continues. In some ways Laudato Si is broader and more refined than the Columbia River Pastoral Letter (although I am really proud of the Pastoral Letter). Pope Francis expands much beyond the immediacy of our river in terms of technology and everything else that impacts the world in which we live, and the impact upon climate itself. Overwhelmingly, approaching 100 percent, scientists are deeply concerned about the impact upon climate change. In our own polity, Catholic bishops about 12-15 years ago issued a document about climate change and the need to take responsibility for it. You don’t see rapid change all at once but there is change going on. That opportunity for transformation is going to be very important as well to the future. And it is for that future that we must be sensitive to what we do and who we are. Bishop Cooney speaks to a deeper sensitivity and I think that’s true for all of us as we look to how precious water is for us and what water does for us in terms of culture and society and history and vision for the future. It’s all wrapped together and I find the complexity of that wonderful but also something that we need to take responsibility for. JO One statement you made regarding the Columbia River Treaty that has impressed me is your statement that we have time. The current treaty does not change until 2024. We have time and the opportunity to enter into respectful dialogue within this Basin and between both nations to modernize the treaty. Would you speak to the concept of respectful dialogue and engaging early before the crisis comes. Bishop Skylstad Often times what has happened in the history of the river is that decisions were made quickly because of national security. For example: Hanford Nuclear Reservation. They wanted to produce plutonium — to move quickly to produce plutonium. But there wasn’t much thought about the residue left over from that process. So we have these tanks full of residue and sludge, perhaps 140 to 150 tanks. Some have leaked with that result that plumes of contaminated groundwater are moving toward the Columbia River. We are now faced with trying to find some responsible solution so more radioactive pollution doesn’t leach into the soil and groundwater. But World War II was raging, there was an urgency at that time, so . . . full bore ahead. In some ways, Grand Coulee dam was a bit like that. It was the depths of the Great Depression when they started to build the dam. At the beginning the focus was more on irrigation, whereas during the latter part of the construction the dam was needed for the war effort – electricity for aluminum and so on. But having said that, rather than coming up with decisions that have to be made tomorrow, it is far better for decisions that are years away to use the time now to process all the issues involved so as to make decisions that meet our moral responsibilities and are just. For the Columbia River Treaty the dialogue is already going on, the issues are out there, the dialogue over the treaty and river’s future is becoming much more public. The treaty issue is complex, including that the fact that two nations are involved. You also have peoples involved that were not involved before. I’m very proud that our Native peoples are very much involved up and down the river on many issues and certainly on the renegotiation of the treaty itself. Tribes and First Nations were completely brushed aside in those earlier decisions. Now there is a participatory effort, but that’s not always perfect either as you well know. There are certain entities involved that have strong feeling about their own stake in the river. Sometimes they can be too strong and shut out other people – they’re not as sensitive as they might be. Those are things that we have to work out in our society and culture to find a way of coming to good decisions. JO Working through the transformative process described in the Pastoral Letter. Bishop Skylstad Working through the transformative process: exactly. From my perspective, we need to remind ourselves that there’s a spiritual aspect to this in terms of my responsibility for the common good. The Columbia River Pastoral Letter stresses the common good — and what’s for the good of everyone. And when we look to the common good for all us that means some sacrifice. It’s not my common good but our common good together. And how do we do that in a way that’s respectful of the common good: decisions that promote stewardship as we look to the future. JO While recognizing we have a moral duty to those who have no voice in these decisions. Bishop Skylstad Yes, exactly. I am really pleased with the process of developing The Columbia River Pastoral Letter as we worked “horizontally” to help form relationships between various stakeholders involved with the river (at least there was a strong effort to do that). The second piece is a “vertical” responsibility: what about our children, and our children’s children as we look to the future? How are we going to provide for them? We don’t slash and burn and leave as happens to forests in some parts of the world. But how do you provide for sustainability, for example for energy, for fish, and for agricultural lands? The list just goes on and on. How do we act in way that’s responsible and really has a lot of foresight and vision, that guides our decisions that we make here and now. JO You’ve already talked about the relationship between Laudato Si: On Care for Our Common Home and The Columbia River Pastoral Letter. Anything further you’d like to say about how these two remarkable, important documents relate to each other in advancing a water ethics in a time of climate change? Bishop Skylstad We’ve heard the comment that “water is the new oil.” There’s some truth to that, I suppose. Even in within the United States there are areas very short of water, and people are challenged with decisions including whether and how to conserve. The Columbia River Pastoral Letter will always be important for people in the Columbia River Basin and even Puget Sound as a basis for ethical decision-making for rivers. But it is strongly backed up by Laudato Si. Pope Francis is looking at several key issues: the reality in which we live; the Scriptural foundation in terms of our spirituality that’s involved; what are the impacts of our lifestyles and the way that we live. We didn’t talk too much in the Pastoral Letter about interconnections with the world community in terms of consumption — consumptive lifestyles is a topic much more clearly delineated in Laudato Si. That document looks at the social implications or interrelationships that are really important, and the continued formation of education and spirituality. Even Laudato Si clearly points out that this is not the last word, but it does provide a background for continued reflection and discussion and dialogue for world communities. We have become profoundly connected in a certain sense as a world community. We see it economically. But we also see the interconnections with the earth’s environment. Fukishima happens and wreckage washes up on beaches along the west coast of North America. What we spew into the atmosphere can negatively impact areas downwind or even harm the earth’s atmosphere – chemicals that deplete ozone, for example. We live in a connected world, and increasingly so. Because of historic measurements we can begin to see the impact of climate change on ice flows, receding glaciers, and much more. How do we provide a sense of good stewardship and providing for the future as we see this unfolding? Certainly one of the issues will be sea level rise. Earlier I had mentioned the documentary on the Antarctic: frozen as it is, but if all of that ice should melt, sea levels would rise about 200 feet. Greenland is another place with substantial ice where concerns are being raised. And of course I’ve already mentioned the concerns with the decline in the Arctic ice pack, and the impacts. What does the future hold when so much of the world’s population lives so close to sea level? All of this is profoundly interconnected. When decisions are made, we have to be certain that we are responsible with, and for one another as we look at our lives and look to our future. JO Bishop Skylstad, for you it has been an extraordinary life journey from the banks of the Methow River. Bishop Skylstad Oh my, has it ever. JO Part of that journey has been the remarkable work that has come to pass through The Columbia River Pastoral Letter – and all the people that were involved in its creation, and are involved through its implementation. Anything else that you would like to add before we close? Bishop Skylstad This is an opportune moment now to reflect — given our history, given our deep sense of connectedness in the world, and given also (in honest reality) the polarity that’s involved around these issues. All the more reason to have ethical principles that guide us. All the more the need for call fordialogue and a deep sense of reverence . . . and respect for one another as we sort out complex issues. All so that we can come to a common decision as best we can for the future to live good stewardship and sustainability in our planet. There is a responsibility attached to everything we do in the environment and as we touch the environment. To me, if we can help people come to appreciate that more and more, and indeed I personally need to grow in that reality, then I think we’ll be a much better and healthier world in which to live.